The month of February is called the love month. We celebrate Valentine’s Day and experience the last month of winter. Let’s spend some time exploring the word “love”. Like everything else in our society we have taken the deeply spiritual nature of the word and commercialized it so that it exploits people. Unfortunately, the word “love” has been mixed up with the word “lust”. Our soap operas and our society have forgotten how special this word is. Love is a powerful, positive energy that we were all given at the moment of our birth. We look at newborns as little angels, pure in spirit, just beginning their spiritual journey through life. As they grow older they are faced with all types of dysfunctional situations which test their energy levels to possible breaking points. Following these episodes, we sometimes lose our connection to our love energy for a period of time. Depression, loneliness, sadness, and trauma are situations we all go through. Occasionally we need a transfusion of love from others. The energy of love needs to be awakened once again by the love of others. In our life’s journey we meet all kinds of teachers or mentors. Every person we meet on our journey is our teacher, even those who are negative. They come into our lives to teach us how to deal with negativity. I know from experience that no matter how tough life can be, angels are sent into our lives to touch us and slowly activate the energy of love inside of us. Relationships are the ways in which we share the energy of love. We can’t be lovers alone. We need each other. Over the course of our lifetimes we experience many different relationships, people, jobs, family members, and experiences. Thank God for all of them. Each relationship touched our energy of love in one way or another. At times our love was tested but it will never fail. See, you can’t destroy love. Love is patient, kind, does not put on airs, and love sees the good in all. Love is the bond that heals, and builds us to become better and stronger people. We are all on the journey of love. The greatest gift that we can give to another is our gift of love. Don’t be afraid to share it. Love must be shared so that it can grow. It’s a power so great that it can heal all wounds. It’s the energy that is the foundation of life. Real love is an energy that covers all areas of life. The greatest compliment we can be given is to be called a lover. A real lover is someone who is at peace with themselves. They are living in serenity. A real lover has an open mind, is willing to learn and grow, and is always on the journey to celebrate in faith where the journey of life will take them. A real lover is someone who loves unconditionally. A real lover is someone who reaches out to do service to others. A real lover is someone who treats themselves and others with respect. A real lover is someone whose energy speaks in a positive way to others. A real lover is someone who enjoys life. As we grow in the spirit of love we will learn the secret of life. Love is a gift that was given to us by God. We have an obligation to learn how to love ourselves so that we can share the gift with others. As you share and are touched by the love of others your love will grow. Real lovers celebrate life, enjoy the moment, and look at life in a similar way. As you grow in love your life will become much simpler, calmer, and your expectations will diminish. When you celebrate Valentine’s Day remember it is named after St. Valentine who is the Patron of Love. He gave his life for his beliefs in the ultimate sign of love. 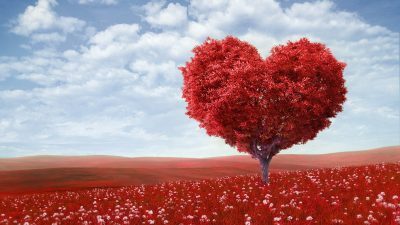 Remember as you celebrate the month of love, live by the principle, “Love is a gift to be shared”. Treat others as you would want to be treated. A happy and blessed Valentine’s Day to each of you!